Speaking at a recent ceremony in Washington during the unveiling of a monument to the victims of communism, U.S. President George W. Bush likened a present-day war waged by the United States against international terrorism to the Cold War. According to U.S. president, it is a case of confrontation between America and the global ideology of tyranny – both in the past and present. The alleged similarities took on a rather unexpected form last week as the CIA declassified and released hundreds of pages of top-secret documents which mostly concern illegal operations conducted by U.S. intelligence community in the 1970s. The documents chronicle activities including illegal arrests and brutal interrogations, warrantless surveillance involving Americans, the agency’s contacts with criminal organizations, and attempted assassinations of those deemed to be enemies of the United States. Current CIA Director Michael V. Hayden said that the times had changed and his agency’s activities were under more increased oversight of the law nowadays. However, the journalists and experts were quick to remark caustically that things had not changed for the better in the agency if there were any changes at all. Even a non-expert is likely to doubt that both CIA illegal activities and the 1970s are now part of history. A lack of media reports on attempted assassinations of America’s archenemies seems to be the only noticeable change about illegal activities of today’s CIA. Perhaps those wearing the cloak and dagger have improved their cover-up tactics. 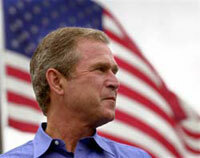 As regards the comparison used by U.S. President Bush, we would like to touch on the following. Human rights and democratic freedoms are meant to apply to everybody. However, the freedom of correspondence and the freedom to defend one’s opinion were rather limited for anti-Vietnam War activists, compared to other Americans. Likewise, these freedoms are limited for those opposed to the war in Iraq. The documents released by the CIA might as well remind us of the longtime debate between the political scholars about the end which purportedly justifies the means. For instance, one of the declassified files recounts planning for the assassination of Patrice Lumumba, then premier of the Republic of Congo. It is still an open-ended question as to whether the situation of the Republic of Congo, a country currently torn apart by a cruel civil war, would have more dismal if Lumumba had survived in 1961. Washington was far too busy pursuing its strategic goals, and therefore could not care less for the fate of the Congolese or any other nation, for that matter. The periods between the wars in which the Unites States was involved in the latter half of the 20th century were short, hence another topic of discussion. The war on terror was announced ten years after the Cold War drew to a close. The new war provided the CIA an excellent opportunity for justifying its illegal conduct. Where there is a will, there is a way (to justify the above). It is worthy of notice that not all the documents related to CIA illegal activities were made public. Names on some of the declassified documents were deleted; others contained a number of blank pages. It is unlikely that the only CIA operation that crossed legal lines in the 1960s refers to personal freedom restrictions imposed on an enemy agent i.e. KGB officer Yuri Nosenko who was arrested in 1964. Nosenko was later “talked into working” for the CIA. It is believed that similar methods are still used for “questioning” hundreds of terrorism suspects. CIA Director Michael V. Hayden apparently aims to remove some stains off the agency’s well-tarnished reputation by declassifying and releasing documents relating to long-ago black operations. Hayden has been repeatedly stressing the point that the agency embraced openness and some negative things “that the CIA should not have done” were history. However, the latest disclosures have had an opposite effect on the public so far. The CIA files on its past misdeeds were seen as a reminder of the regrettable continuity in the activities of U.S. intelligence community which still has the knack for interpreting the law to advantage.